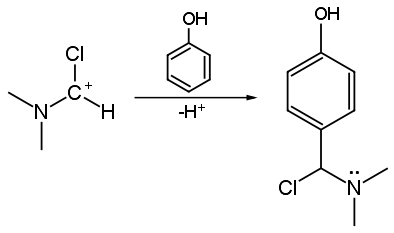 The last part of the reaction is extremely simple The product above can easily lose a chloride ion (good leaving group) to give an iminium ion. Then, the iminium ion can be hydrolized under weak condition to give the desired carbonyl group. If we have used DMF the product is benzaldehyde, considering that contains just one single carbon atom.